The Café Irreal specialise in publishing literary fiction that accepts (and welcomes) the possibility of the impossible and makes it common place. They define the genre here. 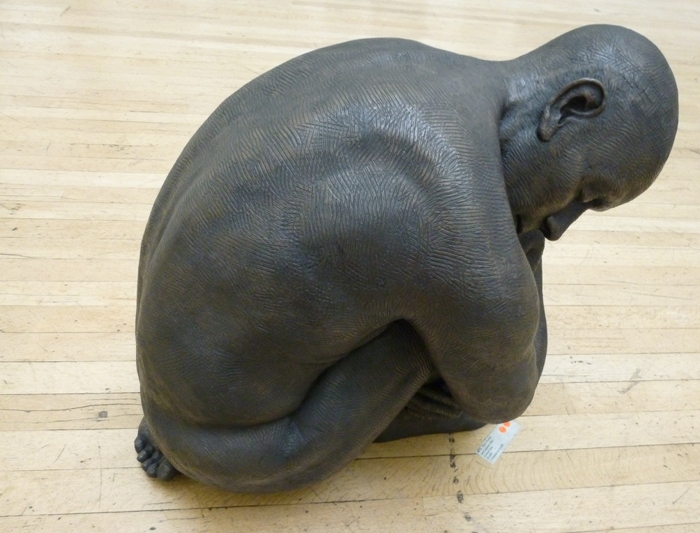 My particular story drew inspiration from a wonderful piece of art by Moira Purver, titled Self-Contained Man, which featured in the RWA’s open exhibition. I spent an afternoon there in late 2014, gleaning inspiration and taking notes. I rather fell in love with Moira’s beautiful sculpture. An idea about Self-Contained Man took root, and developed into a story told from the point of view of a sculpture grappling with the question of whether or not he has a sole. You can read it here. This entry was posted in Judy's writing and tagged BBC Radio Bristol, Café Irreal, inspiration from art, RWA, Selfcontained, Steve Yabsley by Judy. Bookmark the permalink.